San Francisco is a city designed for artists and wanderers. From North Beach, to Chinatown, to the cold, rough surf of Ocean Beach, to Marin, both visitors and lifelong residents have endless opportunities to explore new neighborhoods, buildings, environments, and cultures just by getting in the car, hopping on a cable car, or by simply walking around the block. In San Francisco: A Map of Perceptions, the architect Andrea Ponsi unravels the multifaceted beauty of one of America’s favorite cities, introducing even those who have lived there for years to nuances often left unseen. Ponsi, a native of Florence who lived in San Francisco for many years, lyrically describes everyday life in the city, from a café in North Beach where he sits next to Lawrence Ferlinghetti, to the de Young Museum ("a solid mass, a rough but elegant body, faceted but compact") and the Academy of Sciences ("an ethereal, transparent building, lace made of glass and slender columns"), to Alcatraz ("an abandoned ship, a Flying Dutchman set adrift that bears the signs of a life of torment"), and even to the buffalo who reside in Golden Gate Park. As with his book on Florence, Ponsi here reveals a deeply personal look at what it’s like to live in and love a city. Having the unique perspective of having been both an insider and an outsider to San Francisco, he speaks to us in the way we dream an architect would, capturing the city’s diverse yet emblematic structures through delicate watercolor and line drawings, while also offering poetic descriptions of the underlying smells, sounds, and light of its many neighborhoods. 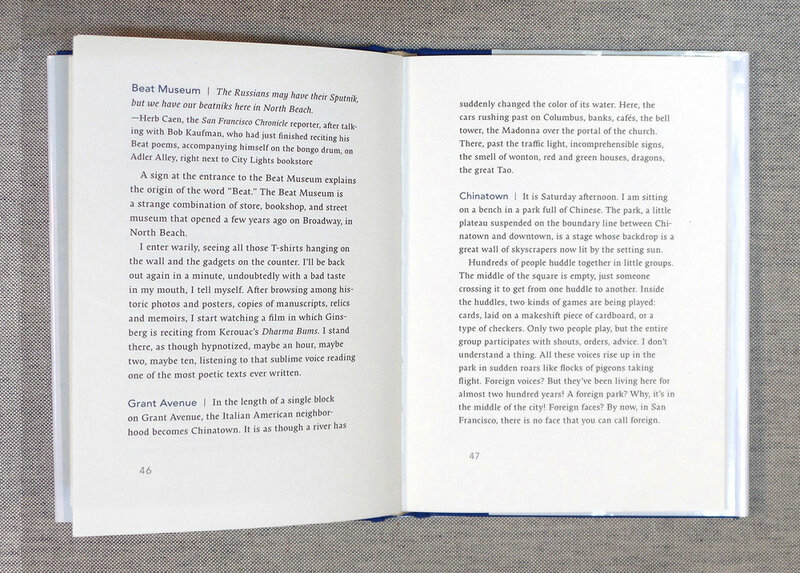 A perfect balance of text and illustrations, San Francisco: A Map of Perceptions offers not only a guide for those visiting or returning to the city but also a compelling invitation for residents to revisit the utterly unique place in which they live.